Over three quarters of us serve turkey as the centrepiece of a traditional Christmas dinner, according to Quality British Turkey who operate the quality mark for the meat, amounting to ten million turkeys per year in the UK. But it’s only since the mid-20th century that it became feasible to serve a bird the size of a turkey – before that people just didn’t have refrigerators at home, so there was no way to store a turkey in the run-up to Christmas or keep the leftovers afterwards to avoid food waste at Christmas itself. 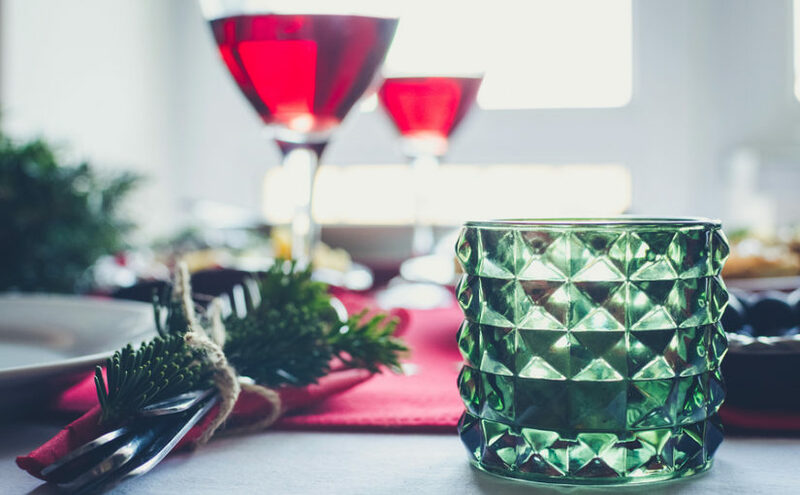 So eco-friendly Christmas dinners are nothing new, but we still have a selection of tips for you to help reduce the amount of general waste you have to deal with between Christmas bin collection days. One of the big ones is aluminium foil – better known to many of us as ‘tin foil’ even though it’s not made of tin – and many householders don’t realise that this can be recycled even if it has been used. As always, it’s important to avoid contaminating your recycling, but just as you’d rinse out residues from glass jars, you can wipe clean aluminium foil, dunk it in the washing-up water before you drain the sink, and scrunch it into a ball to be thrown in with your other Christmas metal recycling like beer cans or food tins. If it won’t scrunch, it’s probably not true aluminium foil but may instead be a kind of metallic film, such as that used in crisp packets – so if it un-scrunches itself, it belongs in the general waste. Buy a turkey from a local farmer to save on the carbon miles of delivery. A turkey crown can cut down on food waste and on the energy needed to cook it, by only cooking as much meat as you need. Alternatively, just don’t get a turkey. Smaller birds are equally traditional, if not even more so because of the reasons mentioned above, and other meats or vegetarian roasts can work as part of an eco-friendly Christmas dinner too. It’s become a running joke that everybody eats turkey curry on Boxing Day, but there are so many great ways to use up leftovers that make Christmas dinner more environmentally friendly overall. Cook up some bubble and squeak with the leftover veg and slice leftover ham into it in place of bacon. Make sure you have some spare stuffing on hand for turkey and stuffing sandwiches. Almost anything can be eaten in bread or on crackers – so don’t shy away from a Boxing Day buffet to use up any spare ingredients you have remaining after your best effort at a sustainable Christmas dinner, and you can head into the new year with a full tummy but also a clear conscience too.